Lead Crystal Slope Panel Tankards. Available in 2 sizes, Small (0.425ltr) measuring 105mm x 92mm and weighing 600g unboxed. Large (0.595ltr) measuring 140mm x 92mm and weighing 660g unboxed. 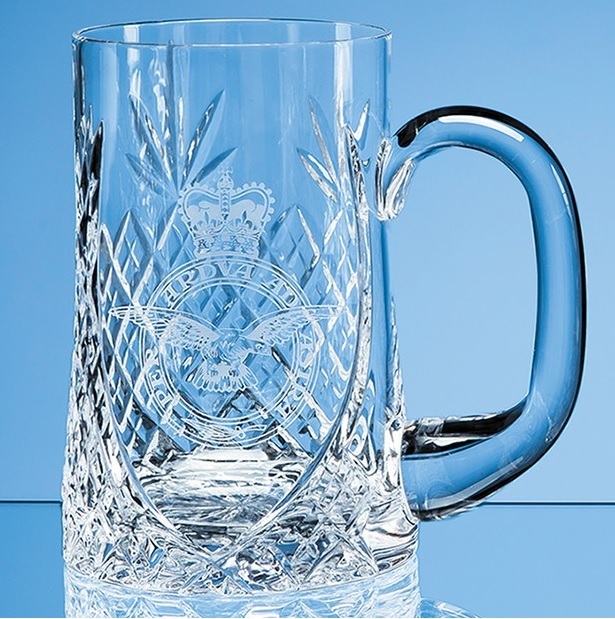 Classically proportioned this traditional lead crystal sloped panel tankard is perfect to say ‘thank-you’, ‘well done’ or to commemorate a personal, sporting or corporate event or occasion. There is a large engraving area that can be personalised with any crest, logo or wording to create a gift that is sure to be treasured by the recipient.